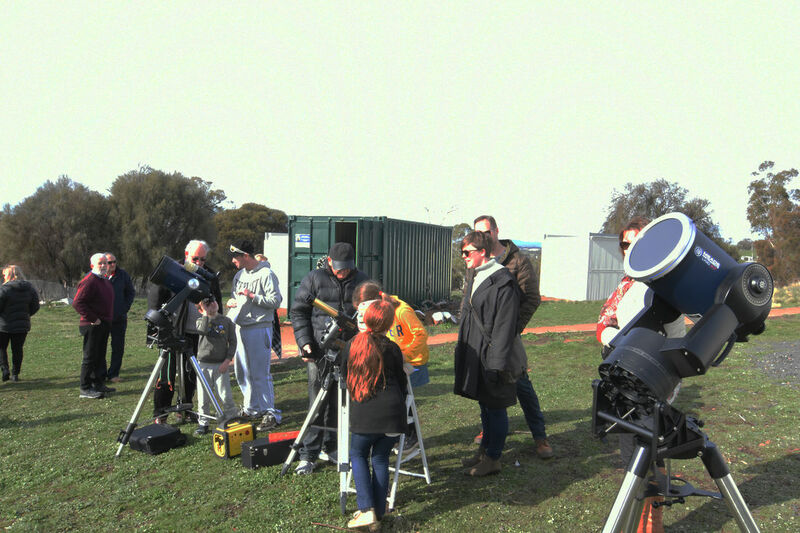 The Astronomical Society of Tasmania conducts its popular Public Solar Viewing Days at our observing site at Mount Pleasant. It is an opportunity for people and families of all ages to view the Sun directly through safe filters attached to our telescopes, with expert guides from the Society. Everyone can experience the power and majesty of the Sun close up with the opportunity to see sun spots on the surface and prominences rising from the edge of the Sun. Our Public Solar Viewing Day is normally scheduled in conjunction with the UTAS Open Day events held at the Mount Pleasant Radio Telescope Observatory in August each year. There is no need to register. Entry is free. Click here for details of our next scheduled Public Solar Viewing Day.